Casey's General Stores are a newer member of the Children's Miracle Network family, having joined the organization in 2013. They have already made their mark as one of our top national partners, raising over $1 million through their miracle balloon capaign, which takes place during the month of February. By participating in the May is for Miracles Miracle Balloon campaign Costco has been able to raise over $243 million dollars throughout the years to help ill or injured children across the country. America's credit unions are proud to raise funds by participating in multiple campaigns all throughout the year including change drives, Miracle Jeans Day, online giving and many more! For one day each year, participating Dairy Queen locations host "Miracle Treat Day," in which one dollar is donated to CMN Hospitals for every blizzard sold. Throughout the year Dairy Queen continues to fundraise for CMN to help local children. Each year Great Clips salons and stylists participate in the October "Great Needs. Great Deeds." campaign as well as sell thousands of Miracle Balloons throughout the country to benefit Children's Miracle Network Hospitals. Every year IHOP hosts National Pancake Day! Guests enjoy a free short stack of buttermilk pancakes, and in return, give a suggested donation of $5. Furthermore IHOP sells the balloon icons to guests, and gathers additional donations for CMN Hospitals. Kansas Drug Card has partnered with Children's Miracle Network Hospitals to help provide cost savings on prescription medications. Each time the card is used at a pharmacy, a donation is made to KU Medical Center Pediatrics. In the fall Love's locations participate in a successful heart icon campaign for CMN Hospitals. Through this campaign Love's has been able to raise millions of dollars by selling heart icons during September! The dedicated team at Love's work very hard to help local children in need. Marriot International is proud of its long-held "spirit to serve" philosophy and make a difference in lives of others. From initiatives like the Breakfast Campaign, Torch Relay or the Reward guest donation program Marriot continues to support children from their communities. Re/Max agents work very hard to support CMN Hospitals by participating in the Kickin' for Kids soccer tournament, volunteering at special events or even donating a percentage of their commissions! Walmart and Sam's Club have been a great supporter of CMN Hospitals for over 25 years. 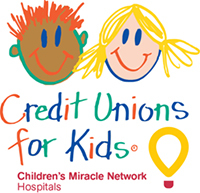 By participating in May is for Miracles and hosting several fundraisers throughout the year they are able raise millions of dollars for children's hospitals. 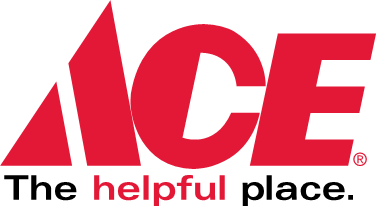 Westlake Ace Hardware stores participate each year in their own Miracle Balloon campaign and put on creative fundraisers that raises hundreds of thousands of dollars for local children.